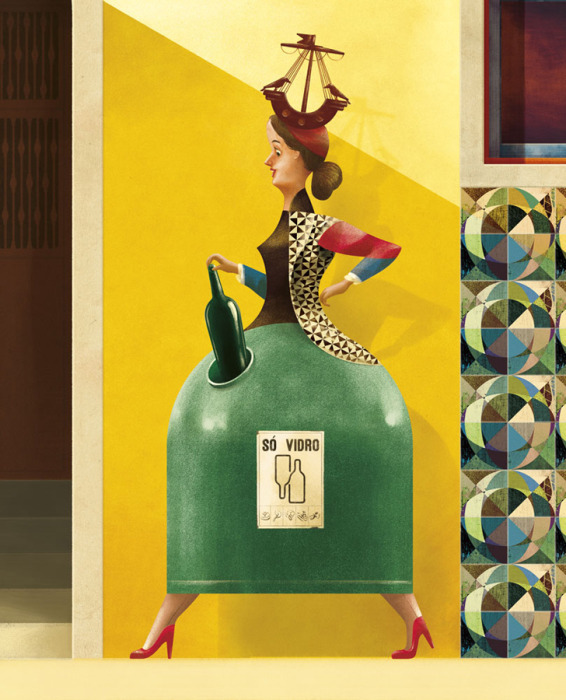 Here’s an interesting book cover for a book GONCALO VIANA illustrated about glass recycling bins that were introduced in Lisbon in the 80’s. “LX80” by Joana Stichini Vilela and Pedro Fernandes was commissioned by Leya. Gonçalo was asked to portray the ubiquitous “Vidrão,” a green dome shaped glass recycling bin that was introduced around that time, dotting the entire city. It was enthusiastically adopted by the population in what would become one of the first big scale recycling efforts in Portugal.